WE DO NOT ACCEPT BLUE LOCAL INSURANCE. If you are unsure if your health insurance plan falls under one of these specific categories, you may want to call the customer service number on the back of your card to verify your in-network status. If your customer service associate is unable to find your provider by name, they may be able to search their network by their National Provider Identification Number. Once your customer service associate has verified our network participation with your health insurance plan, you can be confident that any claims processed through Family Care will be considered in-network claims through your health insurance. However, under these contracts we are obligated to collect patients’ co-payments, deductibles or any non-covered services at the time of your visit. You may reference your expectations for in-network claims under your health insurance coverage in your enrollment benefits statement or by accessing your plan details online. We will file a health insurance claim twice over a 30 day period and any denials for properly filed, processed, and accepted claims by your health insurance will become the patient’s responsibility for payment. Patients with out-of-network health insurance plans are required to pay 100% of their appointment costs for each visit at the time of checkout. After the appointment, Family Care will file your claim electronically and any out-of-network benefits available to you through your health insurance plan will be reimbursed directly back to the patient from the insurer. This will save you from having to submit any paperwork on your own to file your claim. You should expect to receive a statement from your health insurance company approximately 4-6 weeks after your appointment. Even if your health insurance does not pay for your visit, you should get a statement from your health insurance company detailing the charges you incurred at our office. If you do not receive this statement, please notify our office so we verify that your claim was filed correctly. All out-of-network claims at our office, when paid in full at the time of service, are filed to NOT Accept Assignment of Benefits. This should indicate to your health insurance company that the payment for the service will be refunded directly to the patient. Health insurance companies generally send provider EOBs within a week after the patient receives their own EOB. If our office receives a payment for out-of-network services on your behalf, you have the choice of receiving a refund check from our office or using the payment as a credit towards future visits. For refund amounts greater than $50, our office will attempt to contact you regarding the credit on your account. For amounts under $50, without alternate instructions, the payment we receive will be deducted from your next appointment’s charges. Family Care is designated as a non-participating provider with Medicare and Medicaid. This means Family Care does not accept assignment of benefits from Medicare or, more simply, that Medicare does not pay Family Care for any services provided. Patients with Medicare are required to pay the standard limiting charge for North Carolina Medicare providers at the time of service. This rate is determined annually by the state of North Carolina and is constant regardless of which provider you see. After your visit, your claim will be filed to Medicare by Family Care. Under most plans, non-participating provider services require patients to pay a higher percentage of their healthcare expenses than they would expect from a participating provider. If the patient has a supplemental policy, it is recommended that the patient notify Medicare of their supplemental coverage prior to their visit to ensure proper submission of their secondary claims. Family Care will file your initial claim with your primary insurer, but we do not file secondary insurer claims. The easiest way to file a secondary claim is to notify Medicare of your secondary, or supplemental, coverage. If you have not notified Medicare of your alternative coverage, you will usually be required to submit a copy of your original Medicare denial (or statement of patient responsibility), your receipt of payment for non-covered services, and a secondary claim filing form, which may vary by the insurance provider. If you have any questions regarding your Medicare coverage, benefits or our process for filing claims as a non-participating provider, please contact Ryan. 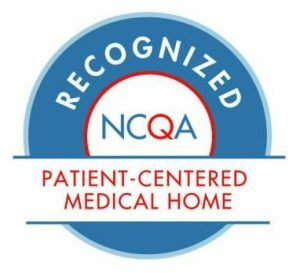 We currently do not accept new patients with Medicare, due to our non-participating status. If a current patient ages in to Medicare, they are able to continue coming to our practice as long as they are in agreement with the process outlined above. Blue Local health insurance cards should say “Blue Local” on the front of the insurance card. If your insurance card shows this designation, Family Care would be out-of-network with your insurance plan. If your health insurance card is headlined with Blue Advantage, Blue Options, Blue Select, or NC State Health Plan, you do not have Blue Local and your plan should be in-network with Family Care. If you have BCBS insurance through your employer, or did not sign up for the plan through the online health exchange, you do not have Blue Local and should be considered in-network with Family Care. When in doubt, you can call the phone number on the back of your health insurance card and ask them if Family Care, PA is in-network with the plan you have chosen. The BCBS Blue Local networks are “limited networks” and only a few providers in the area are able to accept this plan. To find a list of providers that do accept this plan, you can refer to the BCBS website, here. It is the patient’s responsibility to understand their health insurance policy. Family Care makes every effort to ensure that your health insurance claim is filed correctly and efficiently, and most patients receive their Explanation of Benefits (EOB) letter within just a few weeks of their appointment. This statement is called an and is sent to the patient by the health insurance company automatically when a claim is for medical claims filed on their behalf. If we receive a denial on any of the claims submitted on your behalf, we will automatically pursue any denial appeal process available through your health insurance plan, depending on the reason for denial. If a valid claim has been filed and not paid by your health insurance company due to deductibles, co-insurances, contract exclusions or any other type of denial due to your specific insurance policy, it becomes the patient’s responsibility to pay the balance. Certain denials require the patient to contact their health insurance company to provide missing information or to verify that you have a valid health insurance policy. Once we file an appeal, a denial by your health insurance company becomes the patient’s responsibility to contact their health insurance company to rectify the denial. Family Care does not file claims with secondary insurance providers. To make sure your secondary claims are processed smoothly, please contact your primary insurer and make sure your secondary insurance is on file with them. Most of the time, if you have a secondary insurance on file with your primary, the primary insurer will automatically forward any charges that are not completely covered to your secondary insurance for processing. If your primary insurance does not have this on file, you would have to submit a copy of your primary EOB, receipt of payment, and a complete secondary claim filing form provided by your secondary insurance.